Now that the Baby Boomer generation has come of age, there are an estimated 10,000 of them who will be turning age 65 every day for the next decade or longer! A number of these people have been financially devastated by the recession that began in 2008, just before they were ready to retire. In many cases they lost their jobs, their homes, or the value of their 401K and IRA. For some unfortunate people, all these devastating losses occurred at the same time. Many people have been forced into cutting costs and living a simple life, whether they wanted to or not. If you are a Baby Boomer who is ready to retire, or someone who plans to retire in the next decade, do you feel as if you are prepared? If you are not, there is no reason to berate yourself. Many members of our generation have had their careful plans undermined because we were unlucky enough to be suffer through the worst recession since the Great Depression. The financial roller coaster we have been on hit at the same time Baby Boomers were reaching their 50's and 60's. If you believe that there is no way you will ever be able to retire, it is not too late. There are still actions you can take to get your retirement planning back on track. If after reading the information in this article, you feel as though you need more information, be sure to check out my retirement blog at: www.baby-boomer-retirement.com. Many of us have known in the back of our minds that we would need to cut back on our lifestyle after we retired. Often we have told ourselves that we would downsize our lifestyle ... one of these days. Recently, while chatting with a friend, she told me that her financial planner told her not to think about it as downsizing. Instead, you need to think of it as simplifying your life. In addition, he told her that she should not wait until after she retires. It is much smarter to begin to enjoy living a simpler lifestyle as soon as your last child leaves home. For many people, this could give them as much as a decade to get their lifestyle in line with their future income. The first step in simplifying your life is to cut your costs and, for most of us, housing is our largest expense. Start researching where to live after retirement, and move there as soon as you can. For example, is there an adult community in your area that looks inviting? If either you or your spouse is over age 55, you do not have to wait until you are retired to move into one of these communities. You can move in right away and begin enjoying the golf courses, art classes and clubhouses long before you actually have stopped working. My husband and I did this and we have been able to enjoy all the amenities, long before we stopped working. You may want to read a free blog for ideas on great places to live after retirement. Mine has been read over 350,000 times and you can find it at: www.Baby-Boomer-Retirement.com. If you currently live in an expensive area, you may find that adult communities are more affordable than the surrounding housing. However, if this is not the case in your area, start looking for desirable places to live in other parts of the country. For example, Florida, Arizona and South Texas have many popular retirement communities that are priced very modestly. Start planning vacations to these regions to see if you can find a community that would meet your needs and your financial situation. Talk with Realtors. It's possible that you could purchase a home now, while home prices are affordable, and then rent it out until you are ready to retire and move. If you are the adventurous types, you might also want to consider living for a while in another country. Many Americans are finding that they can live quite well in some Central American and South American countries. Some places that you might want to consider are San Miguel de Allende in Mexico, or the countries of Costa Rica and Ecuador. You will find a large population of American ex-patriots in all of those places. One couple we know has a common predicament that many Baby Boomers are facing. He is old enough to be on Social Security and using Medicare, but she will not reach her full retirement age for six more years. He is retired, and they are living on a fixed income. They are moving to Ecuador for the next few years because that country has modern medical facilities and all their expenses, including health insurance, will be much lower than in the United States. Even with the cost of returning to the US twice a year to visit friends and family, they will save a substantial amount of money. As I write this, they are touring Ecuador with an organization that helps Americans familiarize themselves with the country, find housing, and meet other American ex-patriots. If you have a cell phone, get rid of your telephone land line. Eliminate your cable television and switch to free broadcast television, complemented with a service like Netflix movie streaming. Reduce your utility bills by carefully monitoring your gas, water and electric usage. Eat out less often and, when you do, find the bargain restaurants in your area. Use discount cards, and split entrees. Only buy the groceries you will actually eat. Many people throw out fresh produce and expired food on a regular basis. Use a list when you shop, and only buy what you need. Work as long as you can, and postpone retiring and collecting your Social Security until you are at least 66. Each year you work after that, until age 70, will increase your Social Security benefits. If you do begin collecting Social Security before age 70, keep working, even if only part-time. The extra amounts you are paying into Social Security will increase your future benefits. In addition, the extra income you earn will help you postpone taking money out of your 401K or IRA. Find a fun way to earn extra income after retirement. 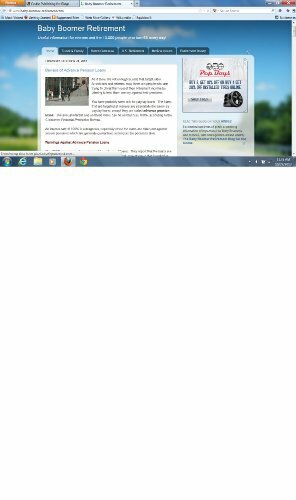 You could write articles, like this one on InfoBarrel. You could paint, make jewelry, or create charming crafts and sell them in local stores or over the internet. You could buy items at garage sales and resell them on eBay. You could start a blog, and use it to earn extra money. If most of your needs have been met, just earning a few hundred extra dollars a month may be enough to help you stay within your budget. The sooner you begin to simplify your life, cut your costs, and maximize your retirement income, the better off you will be as you age. 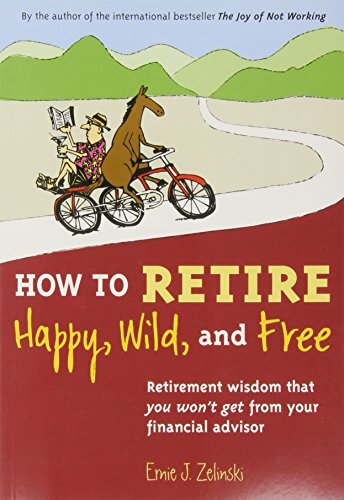 This book will book you on track to having an enjoyable retirement, doing things you may never have considered in the past! 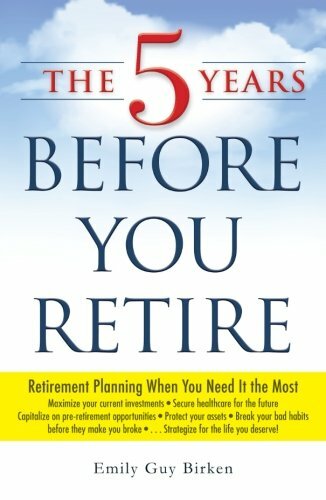 Here's a book to help you make all the necessary adjustments and financial moves that will help you maximize your retirement potential. Very helpful suggestions on cutting down before you retire. We sold our house near the ocean with a pool (never used) and a big fish pond and also a home which we put a stupid smart power on, which cost us 42cents a unit. We sold that home and have a smaller one in the country and put solar on the roof and now we save on our electricity. And bought another caravan to do more traveling. So I am not complaining. Great ideas for planning ahead! Thank you for your comments. We have been gradually cutting back on our lifestyle, and have found that it makes our life better, not worse! We love not having to take care of a big house, or worry about so many "things." Simplifying has been a real bonus of getting older! The idea of simplifying things BEFORE retirement is appealing and part of it is managing cost! Good article. This is excellent advice. I'd love to get rid of the cable, but my husband wouldn't hear of it. But I tru not to waste food. Great advice! I'm 33 years old and got rid of cable about 5 years ago. It's one of the best decisions I ever made. Besides saving money, it's opened up a lot of time which has allowed me to pursue activities more beneficial to my personal development. Anything a person can do before they retire will help them be better prepared in the future. You are smart to do things like getting rid of cable now.